It’s not a novel idea constructing a house or accommodation unit from a shipping container. People have done it ever since the shipping container was invented. In recent years though, this type of construction has gained popularity worldwide and also right here at home. Owning a home is becoming more difficult with every passing year in Australia, which has nudged us to think outside the box (or inside in this case) to find cheaper building alternatives. Architects are now embracing this new material (the shipping container) and using the technology available to create comfortable living spaces that are affordable for everyone. Duarte Geraldino, in an article published on Aljazeera.com, talked about this issue and how it’s becoming more difficult for young adults to move out of their parents’ homes these days. He attributes this to a combination of high rents and low wages which have left young adults with little option but to stay at home. It is this growing need for affordable housing, according to Duarte, that has seen architects, developers, and builders turning to cheaper methods of construction. By using shipping containers for construction, costs can be kept to a minimum providing lower rent living spaces that are customised for twenty-something-year-olds. Concepts such as building basic living quarters that include a kitchen, bathroom, living and dining area, as well as common areas where tenants can hang out provide a low-cost housing solution. Building these kinds of accommodations using shipping containers helps reduce the cost of construction by as much as half. Because these lowered building costs can be recovered over long periods, rents become very low. And since on average there’re about 700,000 empty shipping containers lying idle in the country, this affordable building material is readily available for projects. But it’s not only in large-scale developments where cargo containers are useful. They are also becoming popular in smaller applications such as creating the family and single person dwellings. They also provide a simple way of extending your house as you can install a granny flat in your backyard for some extra accommodation space. Construction costs – As mentioned earlier, constructing a house using cargo containers is significantly cheaper than using traditional materials. Construction time – Most of the modifications for transforming shipping containers into houses are usually done in a workshop offsite meaning that it’s only the assembling that takes place on site. This reduces construction time significantly. While a normal house can take up to 30 months to build, a shipping container one will take a few days to a couple of weeks to complete. Building materials – While typical houses use materials such as bricks and timber for outer walls, cargo container homes – as the name indicates – are primarily made with shipping containers. Building regulations – Regulations used for building with traditional materials are not the same as those for building with shipping containers. They differ greatly depending on your locality, so make sure to check first. Mobility – Because shipping container houses are an assembly of several containers, they can easily be taken apart and moved to a new location. This is not the case with normal houses. Assembly – While you can build a normal house using standard construction equipment, you will require specialised equipment to assemble a container house. Eco-friendliness – Constructing a house using old shipping containers is a way to upcycle an item that would have otherwise gone to waste which helps conserve the environment. Normal houses on the other hand just consume new resources. 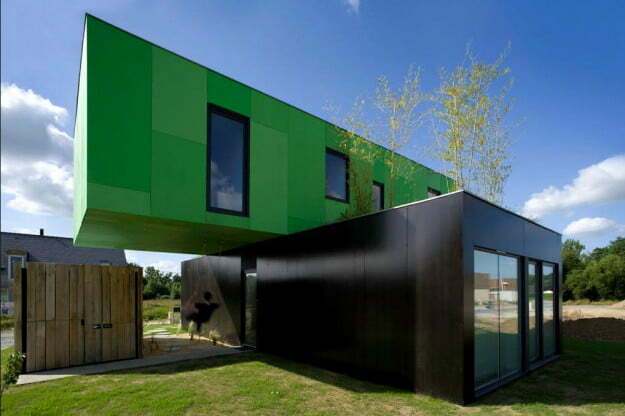 Aesthetics – Cargo container houses also differ from normal houses in the way they look. 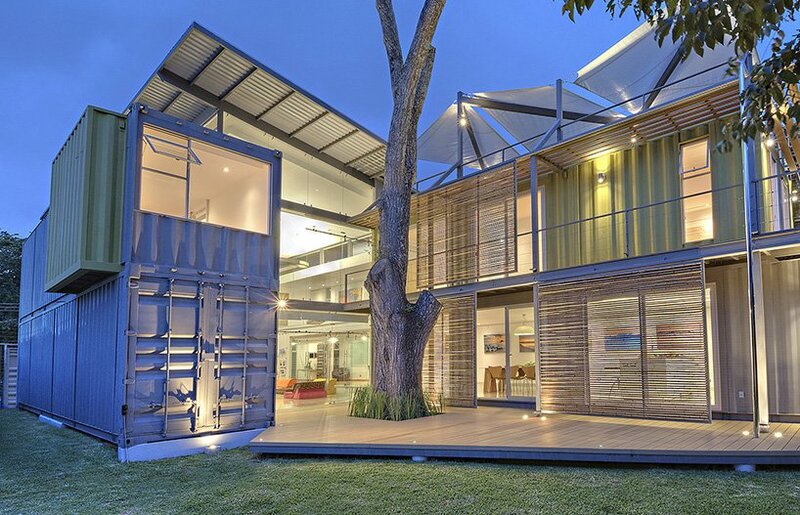 A container house will have an industrial, edgy, modern look while normal houses look more traditional. Expandability – Container houses are easier to extend than normal houses. All you need to do when you need more space is to buy an additional container, have it modified, and join it to the ones you already have. 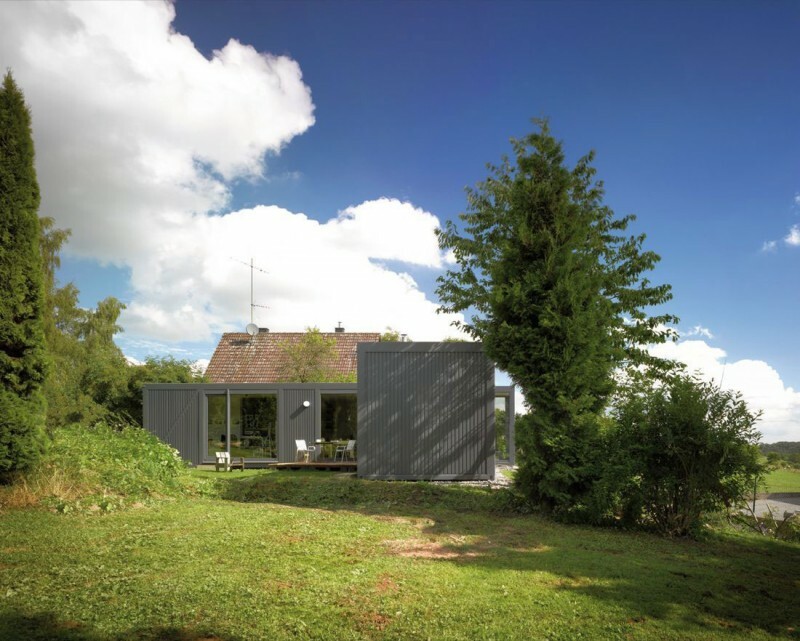 Strength – Because of the all-steel construction, container houses are stronger than those made with ordinary materials. Reduced construction times – Shipping container homes are manufactured in a factory which makes production quick and efficient. Once the shell has been completed, all that remains is installation on your property and addition of other add-ons such as roofs and verandas. Your home should be ready in just a couple of weeks. Sustainability – People are starting to understand and appreciate the effect their lifestyles have on the environment. It is for this reason that more people are switching to a more sustainable way of living. Using shipping containers for home construction is helping in the re-use of these otherwise waste products. This is because shipping containers are rarely shipped back to the original exporter which results in a major disposal problem. Durability – Even with their lower construction cost, shipping container homes will last as long as traditionally built homes. Shipping containers are renowned for their tough construction which will remain even after the container has been transformed into a home. Good “temporary” structures – Shipping containers walk the line between permanent structures and temporary structures. If for any reason you are not allowed to construct permanent buildings on your property, a shipping container home offers a great solution as it can be moved when required without any damage. Shipping containers can be easily converted into accommodation for onsite use, for use on long vacations, for emergency situations, or to provide a place for you to live while your house gets renovated. Once in place, the container(s) can be configured in the way that best suits the home plan and after completion, the home is ready for moving in. With traditional homes, a foundation must be built and that requires time to be set up. Once that has been completed, stick frame construction can proceed and then all the basic construction must be inspected and passed by local building authorities. However, when you are using shipping containers for houses, all you need to do is purchase the components and have them delivered. A cement pad may be sufficient to sit the containers on, or you may want to use some type of concrete blocks as a foundation. The containers can be welded together to keep them in place, but some people prefer to keep them moveable. The interior of a shipping container is a blank canvas and it is a simple matter to add insulation and wiring to the interior, as well as to have the entire unit plumbed. 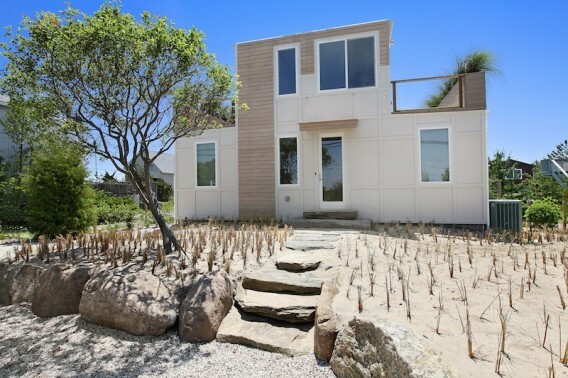 When people use shipping containers for houses, they save a great deal of time and money. The container is already a self-contained structure; all that needs to be done is to install windows and the interior structures such as walls and doors. Once the building has been completed, it is often not easy to see that the building is actually constructed from shipping containers. It’s many people’s dream to own a home at some point in their life. But with the ever-increasing costs of building a house in Australia, this dream is quickly becoming unattainable. According to the Australian Bureau of Statistics, house prices have been on a steady incline since the late 80’s averaging an increase of about 6.8% each year. The Bureau estimated the cost of building a new house to be $236,000 in 2008 from a low of $65,000 back in 1987. Now, some of this rise in cost can be attributed to the increasing size of houses being built but most of it is as a result of other market forces, other than consumer preference. It’s this housing problem that has forced people to think outside of the box regarding building materials for constructing durable homes, that won’t leave them in lifelong debt. Welcome: shipping container homes. Their original purpose was to securely transport cargo across rough seas and miles of road, but with their increasing popularity a new problem arose; disposal. Shipping containers were designed to reduce loading and off-loading times at ports by consolidating several small items into one big regular shaped package. This increased efficiency at terminals greatly reducing shipping costs. But over the years shipping containers began piling up at ports and yards which led people to a new question: How do we reuse these idle resources? “Construction was the answer. Using cargo containers as the primary building material for structures is nothing new. They have long been used to construct offices, pop-up shops, restaurants and now… now you can live in them. The idea of constructing houses using shipping containers, although in its infancy here in Australia, has gained popularity both in Europe and America where people are using them for construction because of their wide availability, eco-friendliness and low cost. They offer an environmentally friendly solution – By using shipping containers to construct your home, you are using a resource that would have otherwise gone to waste. This helps preserve the environment by fully utilising available resources. They take less time to construct – Constructing a cargo container home takes less time as most modifications are made offsite. Only assembly and installation of a few fixtures takes place on-site. They have a smaller footprint – This means they are lower maintenance, run on less energy and are more flexible in where they can be built, to reduce waste compared to regular homes. If you are looking to build your home from shipping containers, just welding them together and cutting out doors and windows will not make for a comfortable home. A little more effort and creativity is required to transform these steel boxes into a comfortable home that you will enjoy living in. Put some thought into the design. To make your cargo container home the best it can be, you’ll need to start from the beginning. Just like regular houses, shipping container homes also require some designing to make them more appealing and practical. There are two ways you can go about this: hire a professional architect or do it yourself.If you do choose to follow the do it yourself route, do some research. Check out existing shipping container homes to get an idea of what you would like your house to look like. Keep in mind that local building codes and environmental factors will also play a significant part in the overall design, so do some digging on them too. Build for comfort. Once you are through with the design stage, you can begin construction. For comfort at all times of the year, it is of paramount importance that you install insulation and adequate ventilation to the house as well as double glazed windows – if air conditioning is to be used. If the area you are building in is particularly sunny, consider constructing the house in a shaded area for cooler temperatures. Install appropriate flooring. Choose flooring material that works for your environment. For dusty places, use vinyl and wooden floors instead of carpets. They are easy to clean and will not absorb all the dust in the air like the fabric in a carpet would. Decorate the outside of the house. A shipping container is quite plain and unappealing without some decoration. A simple way to solve this problem would be to paint the outside of the house. 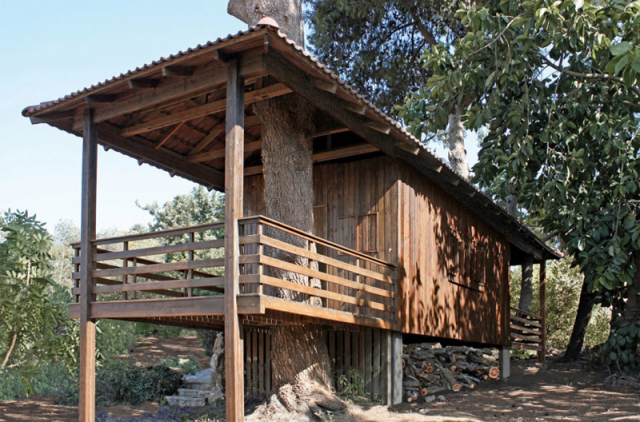 Adding other materials to the outer walls such as wooden shingles could also do wonders. Attaching a sunshade will not only add to the aesthetic but also help keep the house cool. You can use solar panels for this instead of regular roofing material to get some free power out of it too. Landscape the grounds. Planting trees and bushes around the house will make your property look gorgeous while keeping your house protected from the harsh sun. After careful deliberation and looking at many beautiful examples of homes made of cargo shipping containers, you’ve finally decided on making one for yourself. It sounds simple enough, and the advantages of having one definitely make it a worthwhile decision. But before you even get started there are some things you should know, things that many aspiring homeowners tend to forget or disregard due to their unfamiliarity with using containers for building homes. First off, you need to know exactly what type of steel shipping containers you will need. This task may seem simple but can be confusing once you consider the many shipping container sizes and variants available nowadays. The answer to the most basic question of ‘how much are shipping containers?’, also depends greatly on your choice of container. You also have to consider where to buy shipping containers and how much you’re willing to spend on them. Sure, you can always go for really cheap shipping containers, but these may be old, worn and dented in places. While shipping containers, in general, are durable due to their material and build, their appearance and level of wear and tear will matter if you’re planning to turn them into a home. Excessive wear and tear could mean added costs to make the container look like new. Some older containers while cheaper can also have toxic chemicals applied to them. It’s best then to purchase newer ones and from a reliable source like Tiger Containers. Another important aspect that you need to consider: building regulations. In many areas and localities building regulations for container homes and structures are entirely different from those for traditional homes. Building with shipping containers can have a different set of hazards, as it involves connecting dissimilar metals using heavy duty tools. There may also be hazards with regard to your desired size, design and location for your container home. For these reasons building regulations for container homes can be restricting at times, so make sure you know them before making any firm decisions about design and construction. 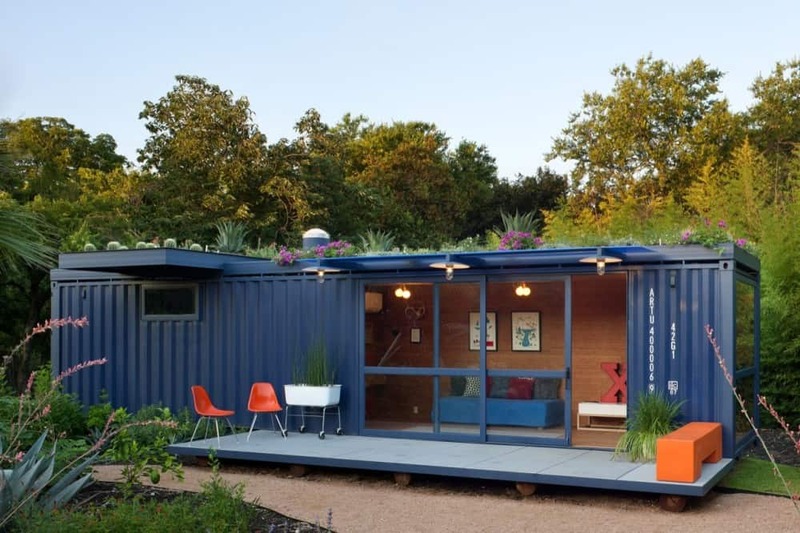 Shipping container homes may have gained some popularity in recent years, but that doesn’t mean that every contractor has worked with shipping containers or knows how to properly create a home out of one. It’s important that you work with a contractor or company that has successfully built container homes or structures. Not only will they have the knowledge and experience to help you fully achieve your dream container home, they’ll already be aware of the specific regulations and best practices involved. Tiger Containers is one such company, having accumulated years of knowledge and experience in constructing shipping container homes. We can provide you with strong, safe containers and all other aspects to make your container your brand new, comfortable home. That includes installing electric wiring, flooring, lighting, plumbing and more. Get in touch with Tiger Containers today to know more or get a free quote. 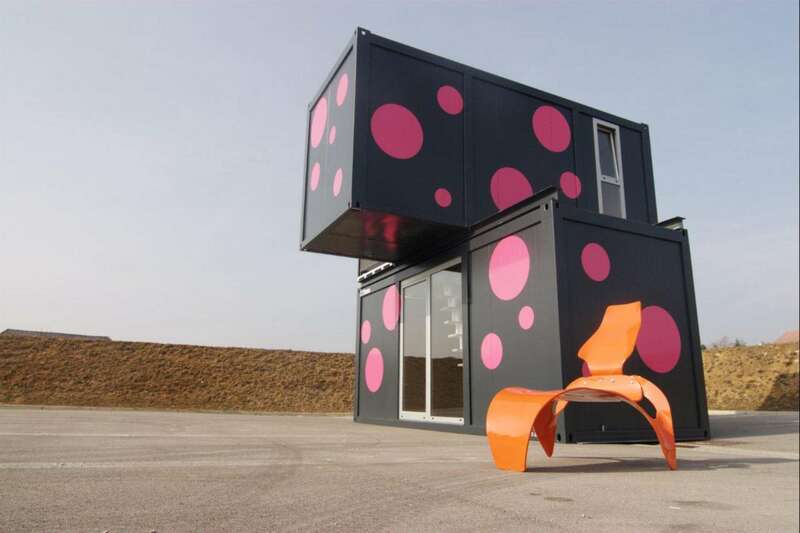 Tiger Containers provide quality cargo containers (both new and used) for building houses. We take care of all the aspects of turning your container into a comfortable dwelling including installing electric wiring, flooring, lighting, windows, doors, air conditioning, plumbing and more.